The name Nelson Mandela may not conjure up images for reds and whites but, perhaps, it will in the future. 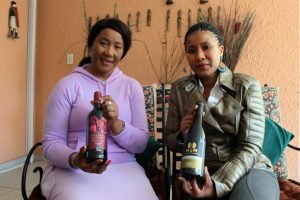 In keeping with South Africa’s rich wine culture, the Mandela family has set out to extend their patriarch’s legacy to a product the whole world enjoys. In 2010, with Nelson Mandela’s blessing, his daughter and granddaughter created House of Mandela, a brand of wine they say embodies the spirit of South Africa and that encourages unity and family – things that Nelson Mandela wholeheartedly stood for.